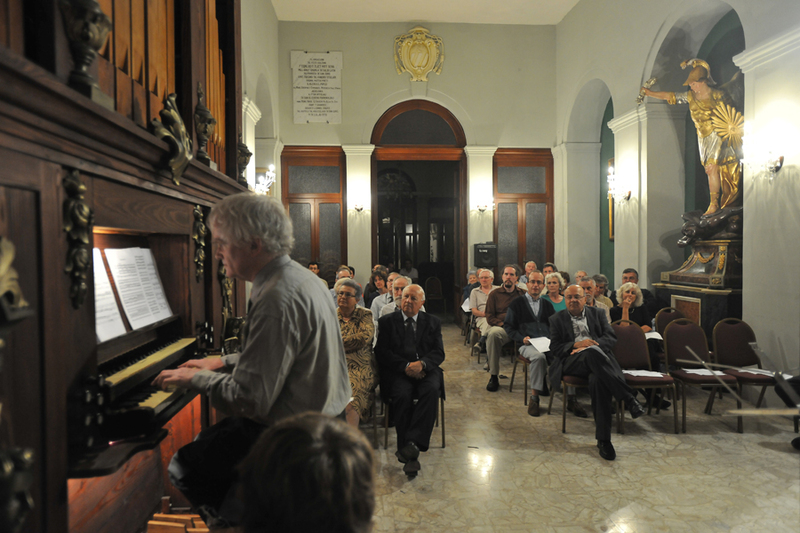 A fascinating evening of organ music played on the late 18th century pipe organ located in St Michael's Hall, St George's basilica, opened this year's edition of Festival Mediterranea. Richard Vendome, an organist and musicologist based in Oxford, performed works by composers spanning five centuries. 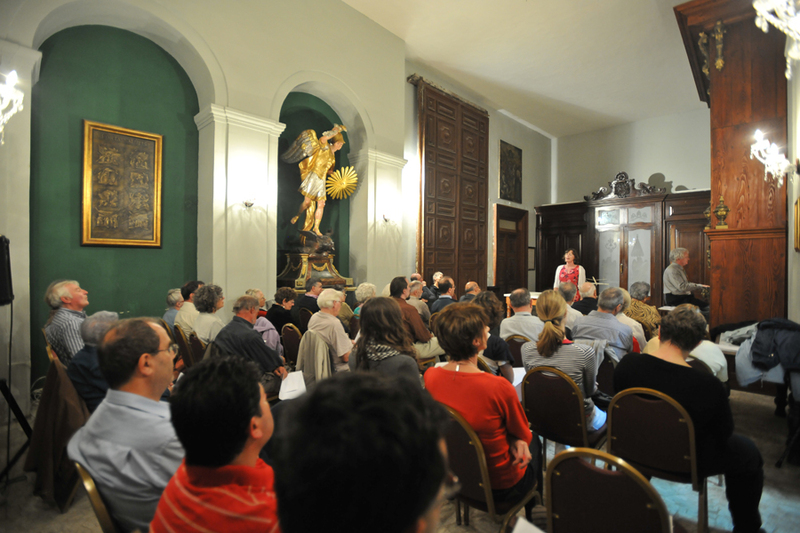 Starting with a chirpy jingle from a 15th century anonymous English instrumentalist, the concert ended, to the delight of the audience, with the effusion of a full organ executing the "Litanies" of contemporary French organist Jehan Alain. Pride of place in yesterday's concert was held by composers with dates of birth or death pertaining to years that include the number 9 as the fourth digit. Thus Henry Purcell, born in 1659, featured with four compositions for the organ, one of which was an accompaniment to the song "If music be the food of love" dexterously sung by Penelope Martin-Smith with dazzling tenderness and vocal clarity. G. F. Handel, who died in 1759, featured with his Organ Concerto n.4 in Bb. Once again the composition, consisting of three movements, was studded by two vocal recitalists, the soprano who now sang the "Alleluia, from Esther", and Ms Margaret Jackson-Roberts, whose introduction as a "lady bass" must have been received with dubious confidence by the audience, but who immediately won everybody over when her voice rang out down the middle to the lowest of registers and pitched lower still to depths that belied her gender. Her song, "O ruddier than the cherry", was captivating. Another singer who likewise enthralled the audience with the intriguing capacities of the female voice was Suzanne Fatta, whom Richard introduced as a "female baritone". Of Sicilian lineage, Ms Fatta sang a haunting poem composed in the Italian language by a great grandfather of hers who had emigrated to Argentina, and set to music earlier this year by F.L. Dunkin Wedd. Entitled "Ultime Mie Speranze", the song lamented the distance of the poet from his mother's grave and expressed the hope, dear to Catholic devoutness, of an afterlife embrace in God. The concert included also a touching sonata (n.44 in G minor) by F. J. Haydn, whose year of death includes the current year's fourth digit, and two lovely works respectively by A. P. F. Boëly and Louis Vierne. Introducing the evening Richard Vendome spoke about the pipe organ that he was going to play on. He lightheartedly explained his role in its acquisition as that of a wedding broker: "I brought together a church in London which wanted to throw it away and another church in Gozo which was happy to pick it up." Well, Richard's role was much more than that. He dismantled it from the Methodist church that was being torn down, reassembled it, renovated its pipes and substituted some of them with new ones, oversaw its transfer to Gozo and followed it here, together with two friend experts in organ building to help him set it up and tune it.